It’s rare any visitor would come to Hawaii without being, at least marginally, familiar with hula. After a “re” explosion several decades ago, hula has become synonymous with Hawaii and popular around the world. Dozens of countries have hula “halau” (schools), and the dance appeals to just about anyone who has an affinity for expressive movement. That being said, few know the real origins of hula (and, frankly I didn’t either). 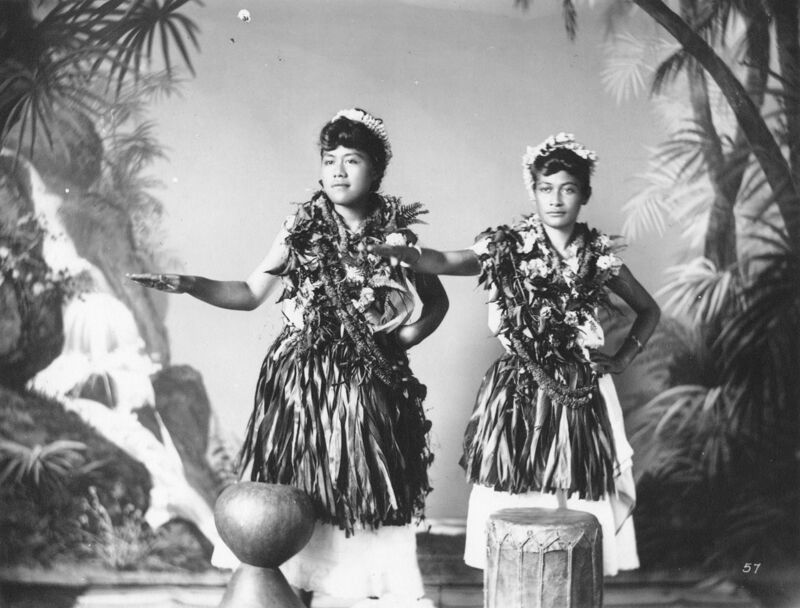 So, we thought we’d do an educational post of sorts and learn the history of hula in Hawaii. According to Historical Perspectives, most of the myths surrounding the origins of hula in Hawaii connect hula with goddesses. A modern myth, occasionally repeated in literature, holds that in ancient times only men danced hula. Not only is there no documentary evidence to support this contention (For example, James Cook, the first European to visit Hawaii, records seeing women dance on Kauai in 1778. ), but the association by Hawaiians themselves of hula with goddesses argues against it. The hula in Hawaii pre-dates Captain Cook's discovery of the islands in the 1700's. The first and only records of hula made by outsiders at the time of first contact came from Captain Cook’s crew who wrote about hula performances. During this time, an expedition artist even drew a male dancer wearing what appear to be kupee made from dogs’ teeth, and using a single uli uli. A common misrepresentation of history holds that the missionaries banned hula. While it is true that they openly disapproved of hula (and, indeed, other forms of dance) as both a licentious and idle pastime, they had not the authority to enact laws. In 1830, Kaahumanu, the queen regent and a convert to Christianity, issued an edict banning public hula performances, but this had little effect. Although it was apparently never formally rescinded, the law was so widely ignored, especially after Kaahumanu died in 1832, that it virtually ceased to exist. Two years after Kalakaua’s death in 1891, his sister and successor Liliuokalani was forced from the throne by a cabal of Honolulu businessmen conspiring with the United States minister to Hawaii. With the end of the Hawaiian monarchy came the end of hula as part of official government protocol for almost a century. 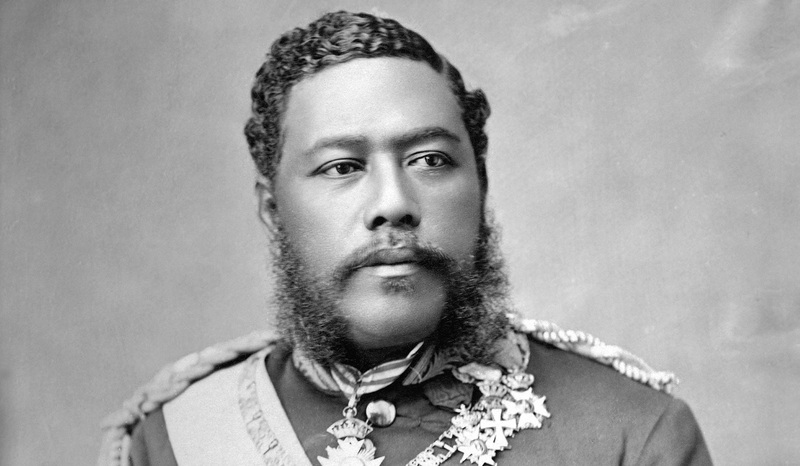 King David Kalakaua is heralded as saving the hula tradition after it had been outlawed by Christian influence. As it had done ever since its beginnings, hula continued to evolve during the nineteenth and twentieth centuries. In the early 1960’s, a group of Hilo businesspeople instituted a hula competition. They created categories of hula kahiko (ancient dances or modern ones in the ancient style) and hula auana (modern). Today this festival, named Merrie Monarch in honor of King David Kalakaua, is a major media event. It has also significantly influenced hula teaching and performance. The festival runs every April in Hilo on the Big Island, which makes it the perfect excuse to hit this amazing island. Fly to Kona, book a Big Island Off-Roading Tour or Kona Culture and Coffee Tour, and save time for the drive to Hilo to enjoy the festival. In the early twenty-first century, hula and Hawaiian culture continue to evolve and spread. Ethnic Hawaiians now live and raise families in North America, Europe, Australasia, and other regions of the world. The western United States are home to especially large multi-generational colonies of Hawaiians, many of whom proudly practice and display their culture as a way of asserting their connection to their ancestral homeland. Thanks in part to them, people in Europe, Japan, Mexico, Canada, mainland USA, and other lands now study and dance hula. I was one of those folks who danced hula in Nevada, and nothing made me feel more connected to Hawaii than performing with my halau. Thanks to the rich history of hula in Hawaii, YOU can enjoy it, too!